Thought l would share a card l made using Stampin-Ups Level 1 Hostess set "Because l care", l had coloured the image awhile ago and only just got around to putting it together. The colours l used were Old olive, Rich razzleberry, Marina mist and Baja breeze on watercolour paper, using a Blender pen and SU markers. I had previously tried the blender pens on Whisper white and after using Watercolour paper l am much happier with the result. Here's a close up of the image, it seemed to me a much smoother finish. Have a great week & thanks for stopping by. These colours are a great combination, so bright and fresh, l went with my hardly ever inked up "LOADS OF LOVE" stamp set from Stampin-Up and this was what l came up with. This award was sent my way by the very creative and talented Bonnie Klass, she has some of the most elegant CAS cards l have seen, do yourself a favour and have a scroll through her blog, you wont be dissapointed, thank you Bonnie for sending this my way, you are an angel!...much appreciated. Now, l am supposed to share 7 things about myself, l have only recently done this and l'm just not that interesting! So heres the link to that post...Facts about me! There are so many Wonderful Blogs that l regularily read, that it is hard to give these awards to just a few, l will scroll through and choose a few more and will be back with an up-date of these shortly. PPA have Challenged us to use Texture in an "Elements of Style" challenge. I decided to combine it with a sneak peek of some of the new goodies from Stampin Up, available on the 1st of April, in the new Autumn/Winter Mini. I ran out of room on the front for anything else and decided to go whole hog and do the inside as well! 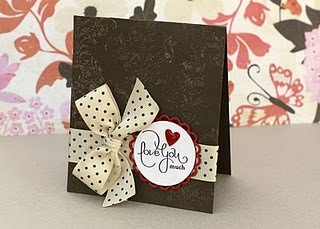 This was a really fun card to make with all the different elements and l got to use my lovely new "Tasteful Trim" die...Now that has a lot of potential. I used Crumbcake, Cherry Cobbler, Basic Black and Naturals Ivory as my colours and teamed them with the very cute "SEW SUITE" Stamp set and Jolly Holly DSP. The Embossed sections were done with the Square Lattice Emb/Folder and l also heat embossed the inner greeting and pulled out the Sewing Machine to finish it off. What do you think?...I'm pleased with how it turned out, although the Cherry Cobbler Seam binding doesn't do for this mere mortal, what it does for the Magic hands of Danielle Daws...Oh to tie bows like hers! Have a lovely weekend and thanks stopping by. I decided to go super CAS. I love it when l get to use this set, it's so pretty!...Now, l also made another one at the same time and changed the colour and rounded the corners and added a pearl, still CAS, I'm pretty happy with both. Happiness Shared-Sincere Salutations stamp sets. Pink pirouette-Certainly celery & So saffron Markers. And Peach Parfait-Basic pearl (2nd Card). Finally had a chance to play with my new toys from the new "Autumn/Winter" mini from Stampin-Up, this will go live on April 1st. I'm not normally a cupcake girl, but loved all the extra bits that go with this set and that punch is so handy....I decided to make my own background paper to use with the punch and really enjoyed making this one. I used the French filigree background stamp inked with Crumbcake and stamped off once on the card base, colours l used were Very vanilla, Ridinghood red, Pink pirouette, Certainly celery & Old olive, added some bling and ribbon, roughed up the main panel and it was complete. Firstly l would just like to say a big "Thank you" to the rest of the team at JAI for the lovely welcome and to everyone that left all the lovely comments on my blog and over at JAI, they are all truly appreciated....Now before l get to gushy, l will move on to more important matters. These colours were such an easy combination to play with and the DT have come up with some really beautiful samples to inspire you, heres the link Just Add Ink Pop on over and take a peek. Punch bunch-So happy for you & For all you do Stamp sets. 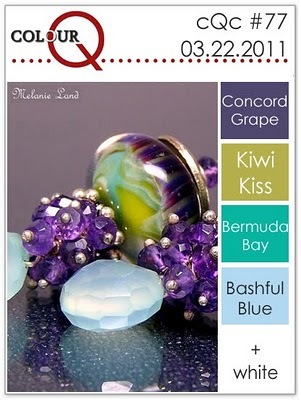 Crumbcake-Rich razzleberry-Old olive & Whisper white C/stocks. Old olive DSP, Basic Pearls. Rich razzleberry-Old olive & Crumbcake Markers. Word window-Modern label & Scallop border Punches. Scallop circle Die-Lots of tags Sizzlets-Petals a plenty Emb/folder. Rich Razzleberry polka dot Grosgrain Ribbon(retired). Have a great day, Thanks for stopping by. Ok, so I'm back in creative mode and have been brainstorming swaps for Convention, obviously l don't want to share them just yet, so l thought l would make a card for someone that needs to be reminded she has friends that care, it ended up very CAS, but kinda sweet l think! Beautiful Butterflies Die-Scallop trim border Punch-Elegant lines Emb/folder. Baja Breeze & Pear Pizzazz DSP. A big thank you to the 2 lovely and very talented girls that sent it my way Julie and Jenn, check out their blogs for some great inspiration. Okay...now for the details that go with this award, firstly l must share with you all 8 things about myself... and then pass it along to some other awesome bloggers. 1. l am an obsessed papercrafter and love to try anything new. 2. I like to think l am a glass half full kinda girl. 3. My favourite holiday destination is anywhere in Asia..Mainly Bali. 4. I love spicy foods...the more chili the better..you know the runny nose/hiccup kind! 5. Any opportunity to have a Jammie day...but usually get caught out! 6. Love the time l get to spend with my 2 beautiful "Grandsons". 7. Have been known to buy Children's colouring books on holiday to get a colouring fix. 8. and l,m grateful for the family and special friends in my life. 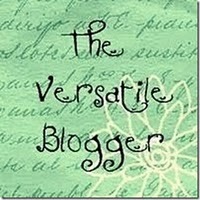 Check out their blogs and leave them a comment, they are all very deserving. Inkspirations have a great colour challenge this week, you can check out the design teams samples here......Inkspirations. and here is my take on this weeks challenge.....They are such pretty colours to play with. Aviary-So happy for you-Elements of style-stamp sets. Rose red-Wild wasabi-So safron-Markers-Aqua painter. This weeks challenge at JAI is a tribute to 2 very talented girls and as this is their final week over at JAI, the challenge is to "just add Amanda or Danielle, the idea is to case something from their JAI challenges or Blogs. Basic Black-Very Vanilla and Poppy Parade C/stocks. Staz-on Black ink-Versamark-Clear E/P and Poppy Parade Ink. 13/8" circle punch-XL Scallop Circle Punch (crop-a-dile holes)-Corner rounder. Friends 24/7-Well scripted and So happy for you stamp sets. This is my all time favourite challenge, a strange word for this post some may think, but to me it is a challenge and one l welcome with such delight, the reason l refer to it as such, is the challenge l have set myself is to be the "BEST NAN" l can be! This sweet little cherub arrived swiftly into mum and dads arms Tuesday night, a new little brother for Archer my 2yr old Grandson, also the joy of my life! Those who are already grandparents will understand it brings a whole new world of happiness. I once again l decided to dig out an oldie to use for this combo and love how it turned out, these colours are very striking together, l decided it didn't need a greeting up front, as there is enough going on already l think. Garden collage (retired) stamp set. River rock-Cherry cobbler C/stock and DSP. Aqua painter and Watercolour paper. Cherry cobbler-Daffodil delight-Old olive and Soft suede Markers. Daffodil delight grosgrain ribbon and gold brad.